Hmmm. Looks like someone's been redecorating, with a lovely new water feature. 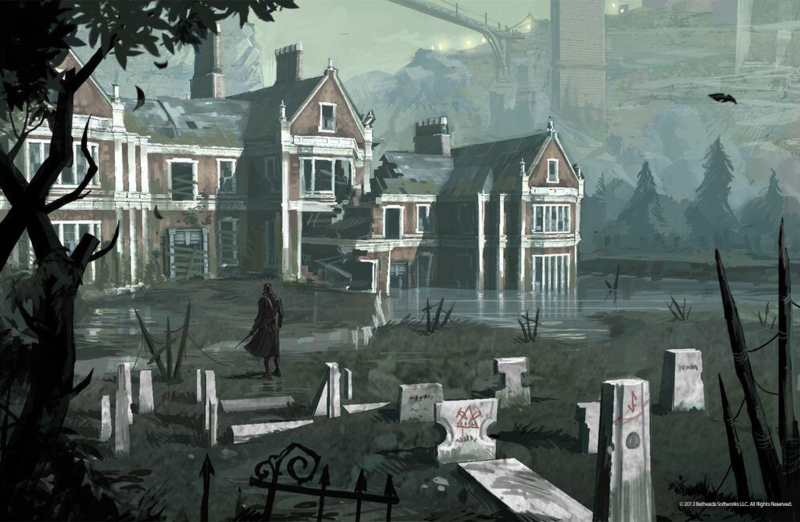 The Brigmore Witches, the latest DLC rounding off throat-slitting Daud's adventures in the world of Dishonored, is due sometime soon. 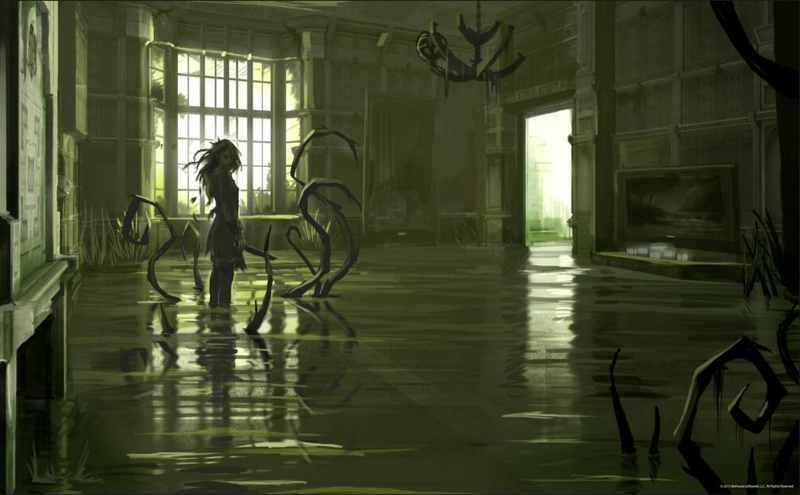 In advance of a more detailed reveal, developer and publisher have let slip some concept art to keep you interested. What does Daud hope to accomplish against the mysterious witch that has been plaguing him since Knife of Dunwall? And are those tentacles just a feature, or do they do something unpleasant? In Dishonored: Knife of Dunwall Daud spent much of his time tracking down the mysterious Delilah, and was part of the way there when events - and the Overseers - overtook him. Now he's hot on his mysterious target's trail, and isn't about to call a halt to his hunt. We don't know much about this latest DLC - whether there will be new weapons, new zones to explore - but presumably that waits on a later reveal from Arkane or Bethesda. So long as it retains that Dishonored noir feel, as Knife of Dunwall did, Brigmore Witches should be a blast. What happens to scary monsters, in the end? Judging by these shots, they get to meet monsters even scarier than they are.